But first a little backstory- my friend Anna has fabulous taste. She tries trends as they emerge on the runway, has an eye for up and coming, and, best of all, gives me her hand me downs! 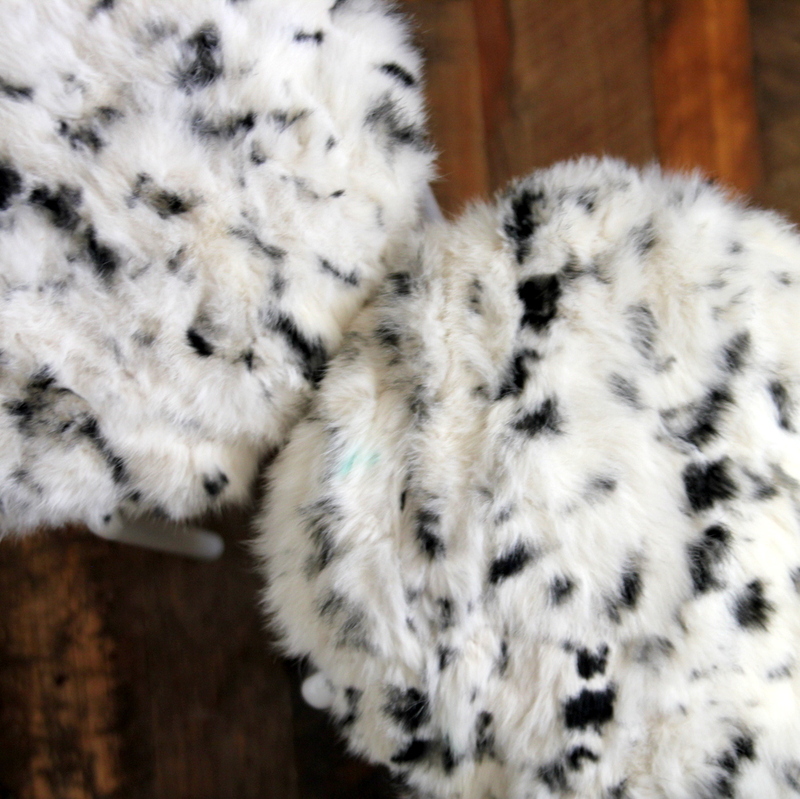 Often, there are items in her hand me down pile that I can’t pull off (like a wide legged black romper), or things like a faux fur jacket that I just don’t have occasions to wear. 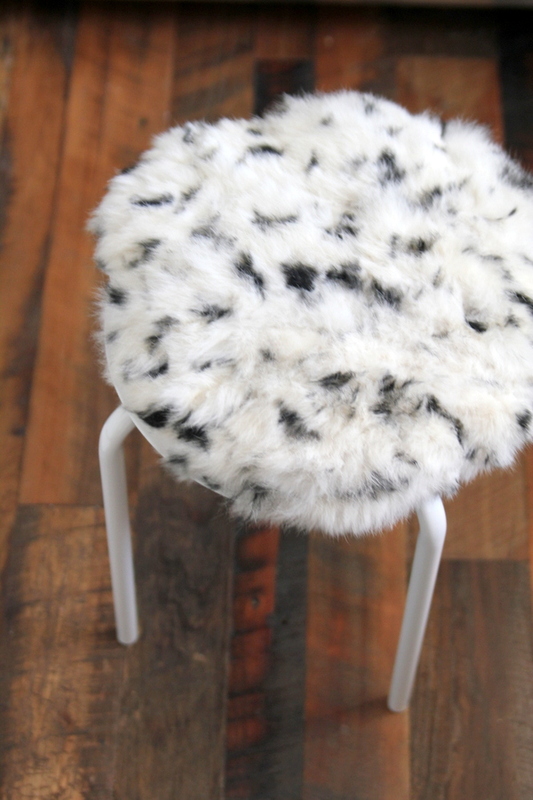 Good news, though- this fluffy gem plus a couple of six dollar Marius stools from IKEA equals some fabulously luxurious seating for my almost-done office makeover. 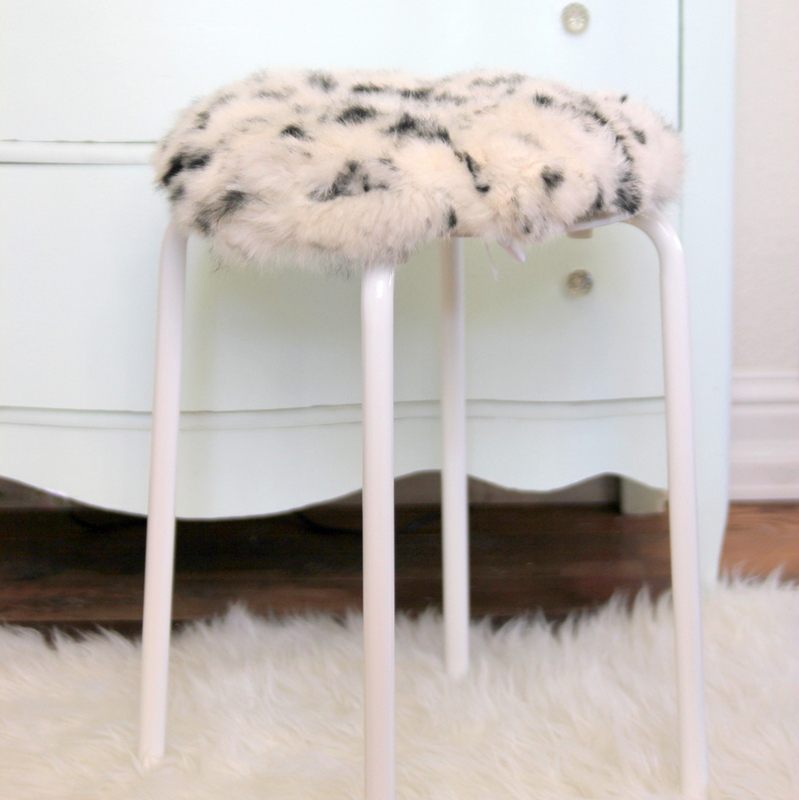 If you find faux fur that’s in good shape at a thrift store (or, like me, get some as a hand-me-down), these stool cushions are an easy way to add texture to a room. To make one, trace the top of the stool onto the inside of the jacket and cut, leaving a wide perimeter (at least an inch). Trace the stool top on a piece of linen (or other complimentary fabric). Cut out this circle as well, leaving a smaller perimeter (about 1/4″- 1/2″). 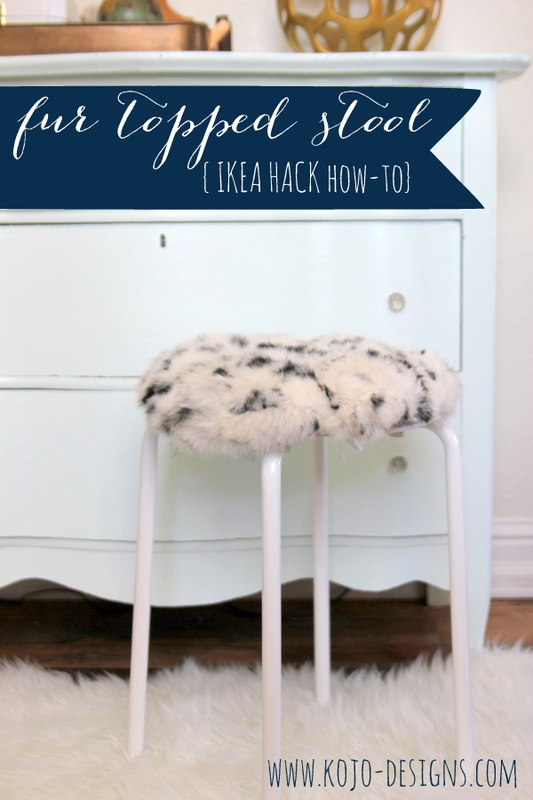 If your stool seat has holes in it (like my IKEA one does), and you’d like to help the cushion stay put, trace the holes with disappearing ink onto the linen. On the exterior/finished side of the linen, sew lengths of twill tape or ribbon in between two sets of wholes, directly opposite from each other. 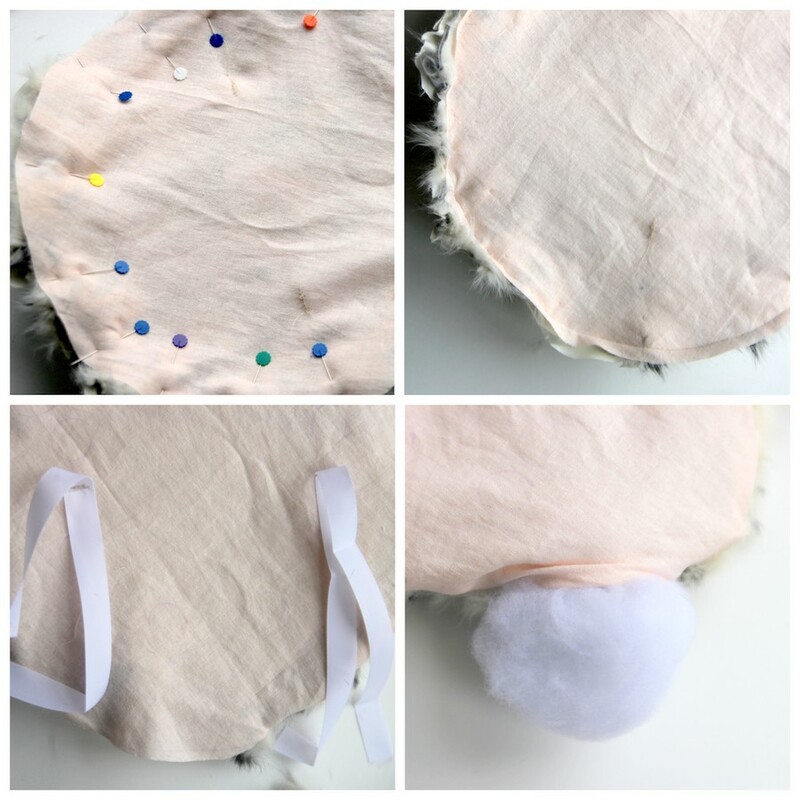 Stack the liner and the fur circles, right sides facing in, with twill tucked into the center. Pin around the perimeter. 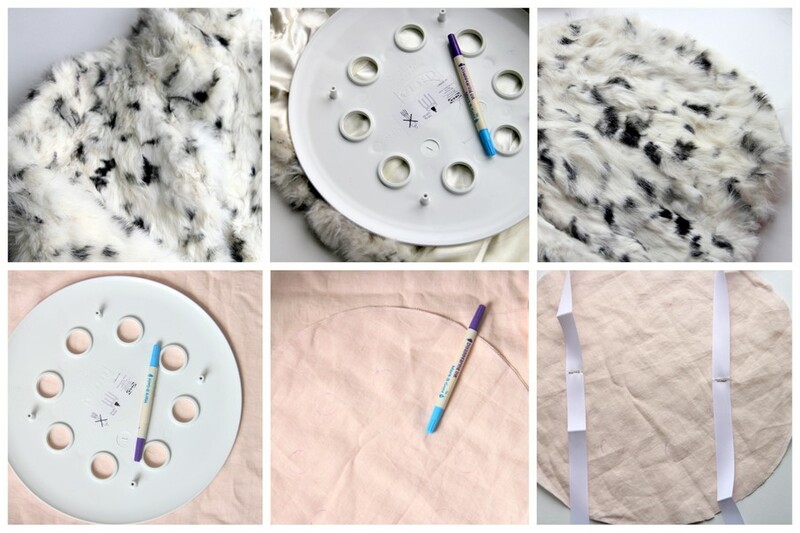 Since the linen circle is smaller than the fur circle, this will cause the fur to dome a little. Sew around the perimeter, leaving a couple inch gap for turning right side in. Turn right side in, stuff (lightly) and stitch the opening closed. 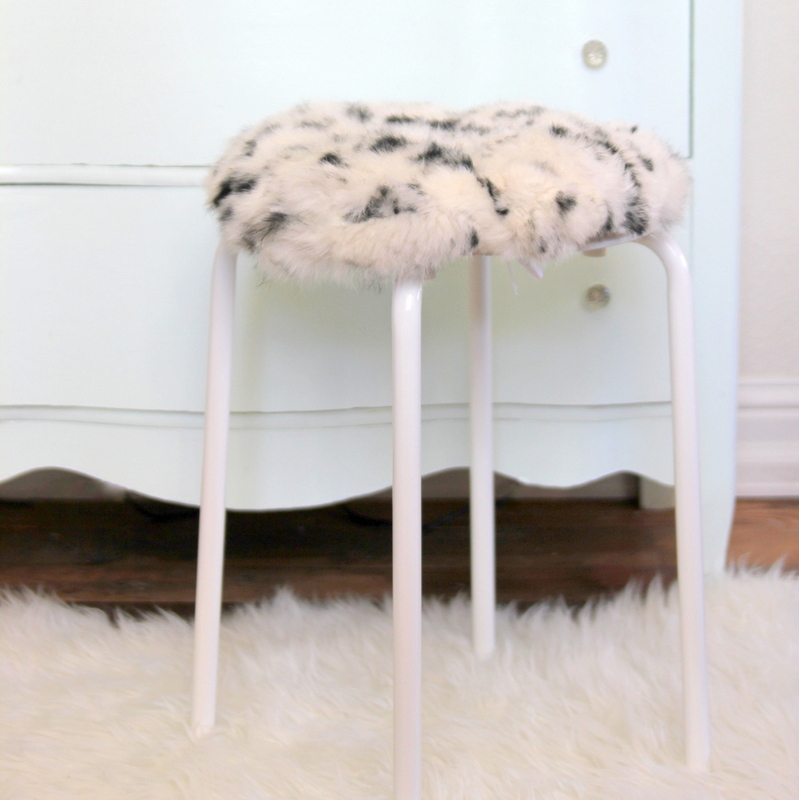 Tie onto a stool and bask in the luxe, texture-y accessory that you just added to your office for nearly free (I bought the stools for $6 each for this project and that’s it!). Can’t wait to share the whole room!